Today I’m back with another product review. Regardless of the brand, I’m pretty sure most of you are quite familiar with whitening scrubs. I rarely purchase whitening products, mainly due to the fact that more-often-than-not, said products have very little effect on me. 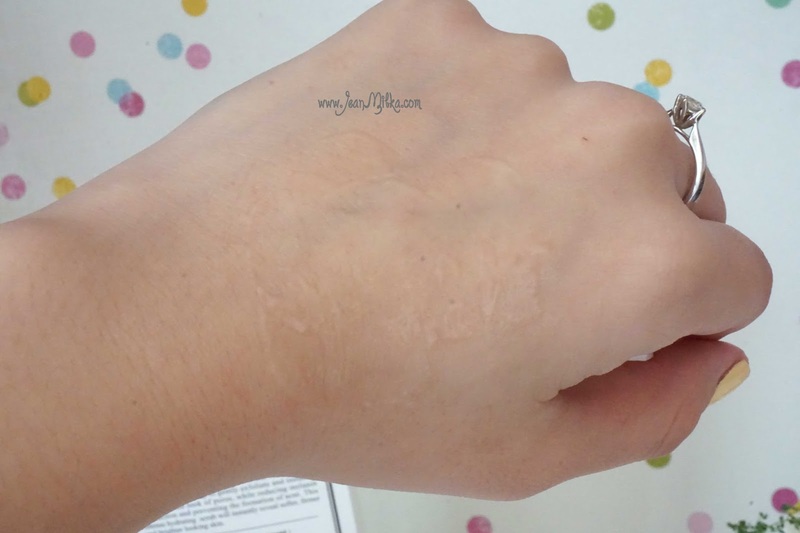 Tone-wise, my skin is noticeably light and I rarely experience dull skin problems. Therefore, both my skin and I don’t find whitening agents that appealing. I am however, able to make good use of said whitening product’s equally unique scrub features. Yes, you guessed correctlt. 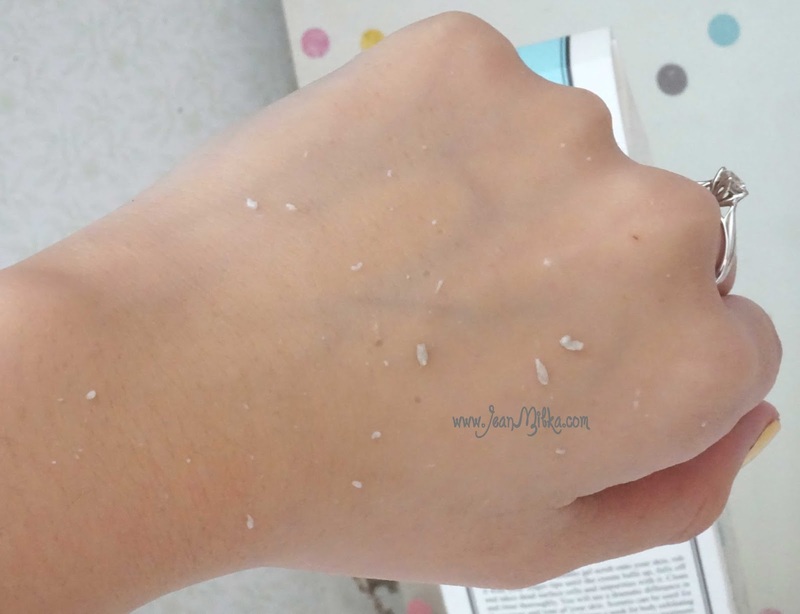 I usually employ whitening scrubs to help me remove the rough, flaky outer layers of my skin. Under normal circumstances, this particular process of skin exfoliation should normally be carried out at least once a week. Skin Refining & Whitening Scrub Milk Plus is probably the only face and body whitening scrub I know. 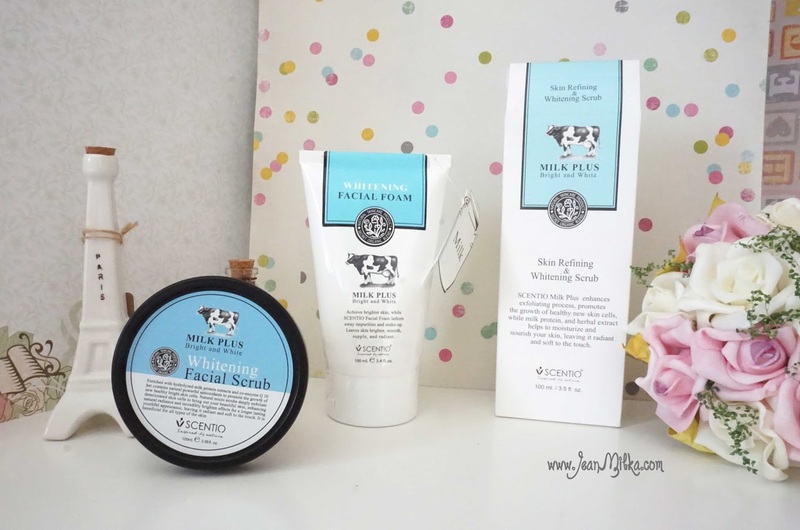 Milk Plus is a whitening skin care line from Scentio. The conception of Scentio’s product lines are deeply influenced by the belief that nature signifies purity; hence the active natural ingredients. Scentio is, in turn, one of Beauty Buffet’s most prominent and notable brand to date. 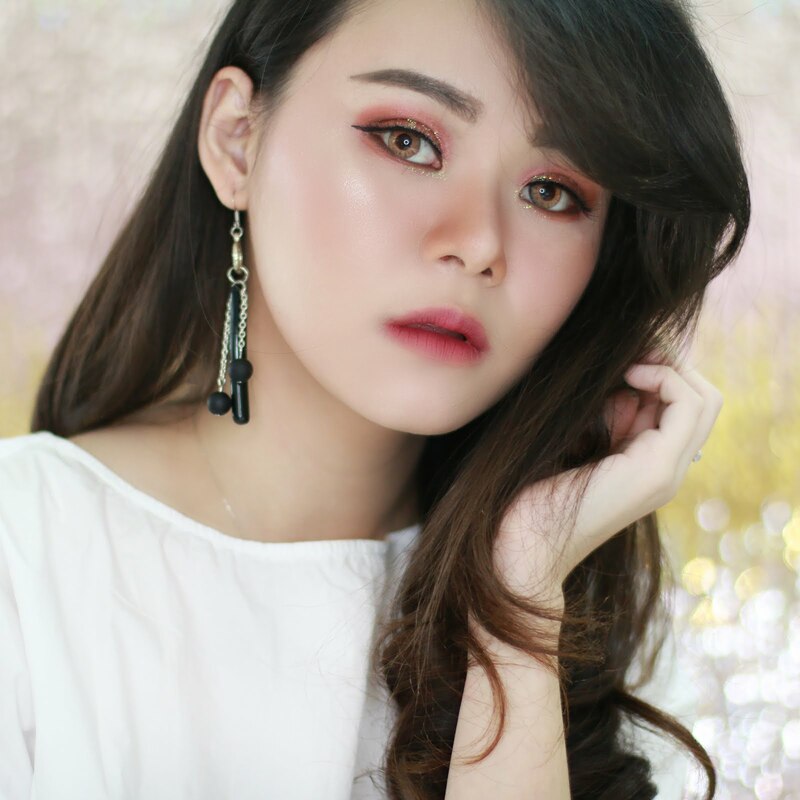 If you are unfamiliar with the brand, Beauty Buffet – as its name suggests, is the first to introduce the infamous "all you can eat" concept that has been widely adopted by various cosmetic shops. Beauty Buffet stands out from most of the dull and boring cosmetic shops that we’ve all grown too familiar with. Beauty Buffet have cooked up a wide variety of beauty dishes, from makeup, body care, skin care, hair care to beauty tools, accessories and many more. Scentio is not the only brand on display at Beauty Buffet. Other noteworthy Brands you can find at Beauty Buffet are Gino McCray, The Bakery, and Lasley. In addition, I’m pretty sure that Beauty Buffet originated from Thailand. You see, while I was researching this particular brand, it dawned on me that I’ve visited one of their shops before, back when I visited Thailand. I even bought several lipsticks and eyeliners from their shop, the ones realeased by Gino McCray to be exact. The stores sell a lot of beauty product ranging from skin and makeup products to nail polish, perfume, etc. In Indonesia, you can find Scentio at Copia. Copia, much like its distant cousin Beauty Buffet, is a store that sells a variety of beauty products that are supplied by disparate brands. If my memory serves me well, Copia Indonesia also sells The Bakery from Beauty Buffet, but I’ve never seen Gino McCray which is also a makeup brand from Beauty Buffet. I wonder where I can find Gino McCray, I love a few of their products, especially the eyeliners. Let me know if you know where I can find Gino McCray through the below commentary box. Well, enough about the brand, now let's talk about the product. Scentio Milk Plus is a whitening skin care line that has more to offer than its infamous body scrub. Apart from its body scrub, Scentio Milk Plus has also released its very own facial foam, body wash, body lotion and many more. This time I will reviewing the body scrub. 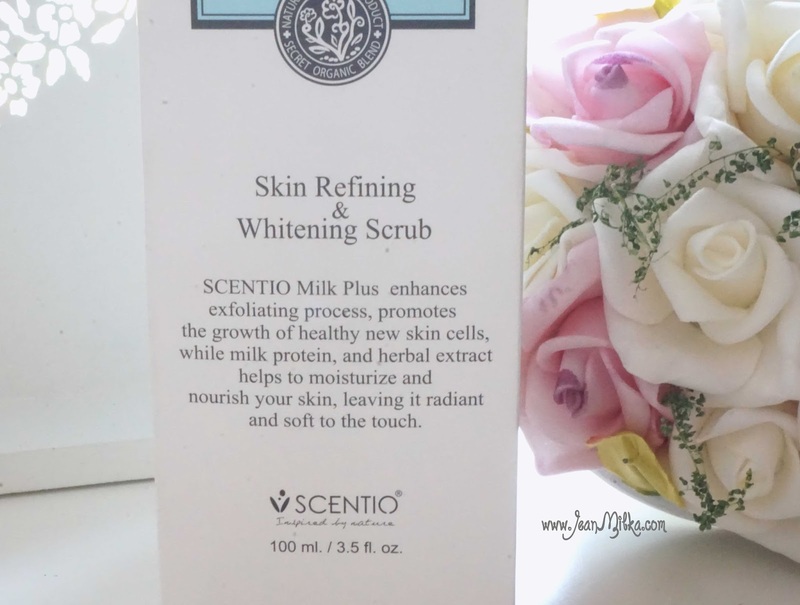 Scentio claims that Milk Plus is able to speed up the exfoliation process, consequently prompting the accelerated growth of healthy new skin cells. Admittedly, Milk Protein, one of the key ingredients of Milk Plus combined with various herbal extracts can help moisturize and nourish your skin, resulting in the emergence of a fairly radiant and softer epidermis layers. You can apply this scrub on your face and/or body. I only used it for my body though, since I am currently testing another product on my face. Milk Plus scrub comes in a squeezing tube and the scent is strongly a kind to that of natural milk’s, though fairly discernible due to the more than conspicuous lingering artificial-pharmaceutical odor. 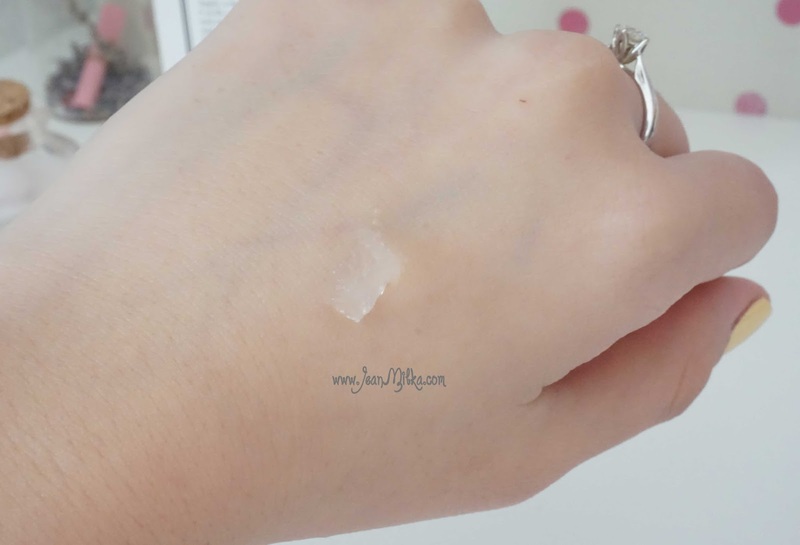 The texture is thick cream, kinda feels like silicon, without any color *transparent*. This scrub is recommended to be used 2-3 times a week for body and once a week for face. Remember that over exfoliating your skin can cause damage to the outer skin layer. When you use Scentio Milk Plus scrub, apply thin layer to dry skin and rub it until you feel or see the dead skin flakes peel off. I didn't see any noticeable transformations to my skin tone, but I must say, my skin felt softer and moist after using this product. One thing I don't like about this product is you need to apply the scrub on dry skin, which means I can't use it while I shower *should be right before I take a shower*, and it is surprisingly difficult to remove the dead skin flakes. I discovered that for some reason, the dead skin flakes, the leftovers so to speak, remained firmly latched onto my skin *hair skin to be precise*, and was quite difficult to remove even after I tried to wash it off using regular soap. Readers : What is your favorite product from Copia Indonesia? 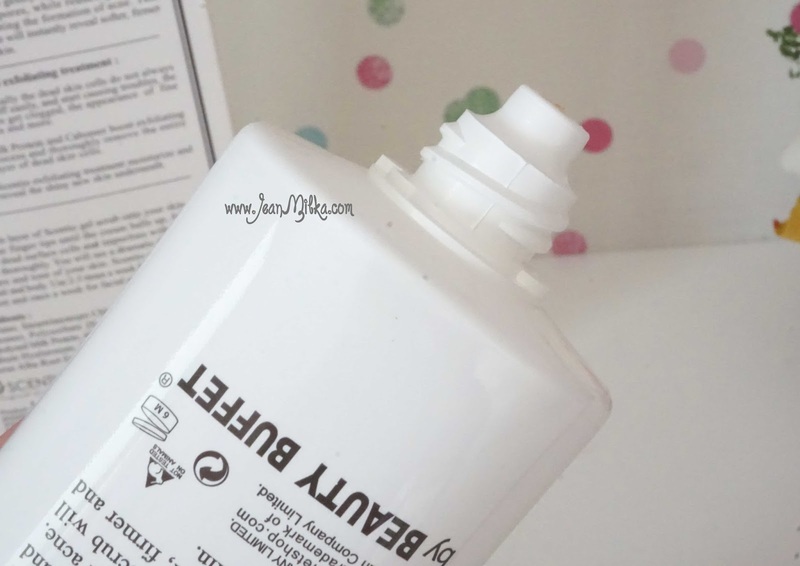 6 komentar on "Scentio Milk Plus Skin Refining & Whitening Scrub by Beauty Buffet"
yeah.. I am not really like the scents, but it's probably fine for others..
Aku nggak hafal, tapi kurang lebih sekitar 180.000an. untuk facial scrubnya cocok untuk kulit acne prone gk yah kak..